Yes, I know this year is not even over yet... we still have a FEW more days, but I really like to try to get everything ready for next year that I KNOW I'm going to use all year or pass out in the beginning of the year. I'm crazy, but I just know how my beginning of year is, so I try to alleviate that stress as much as possible. My Parent Survey (it's free!). I keep this in my communication folder. 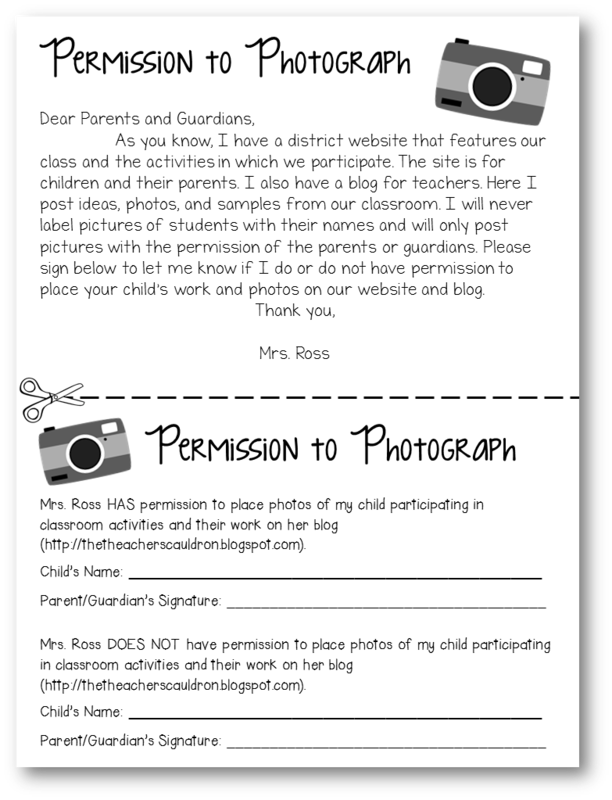 This is what I send home so that I can take pictures for my blog. I know it has my information on it, but if you need it for something else, then maybe you can use it as a template. Click HERE to download it. And I send this home so that I can show some movies that are apparently PG. Click HERE to download it. 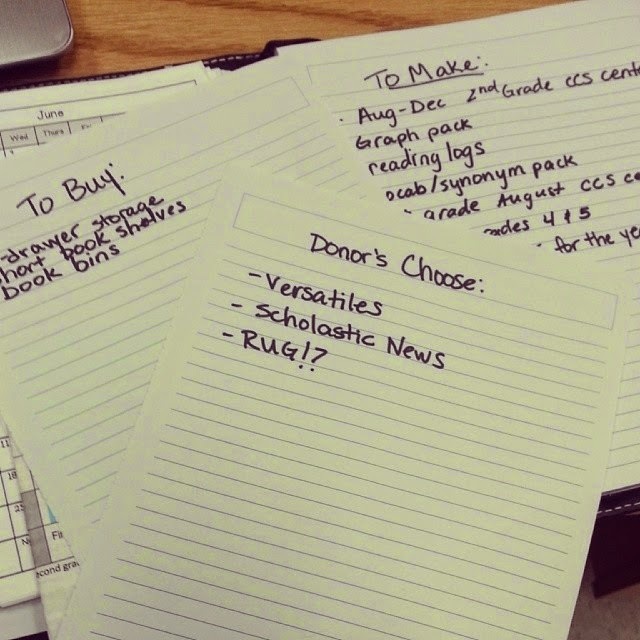 (check out THIS post of why I use library pockets on my desks!)... I like to use my Blue and Green Classroom theme (kind of like the ocean and sky, right!?) but I have other color schemes in my store! I already have my calendar pieces done...but I'm getting ready all the pages that I want to use IN the calendar bundle. Check out my post on the calendar bundle HERE. And I had my students get our Numbers Every Day folders ready for the beginning of year for next year. We take out the pages we've been using at the end of the year and put in the first pages for next year. Check out my post on my Numbers Every Day pack HERE. 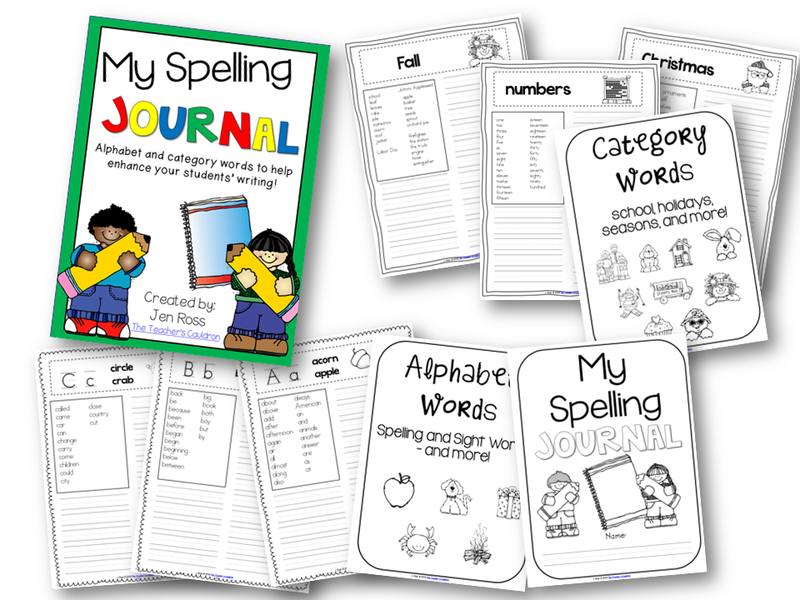 I've also sent my Spelling Journals to the Print Shop. I'm opting to use these this year instead of doing my phonics notebook, only because it's my first year in First grade AND at my new school, so I want to see what they can handle before I dive in full force! haha. 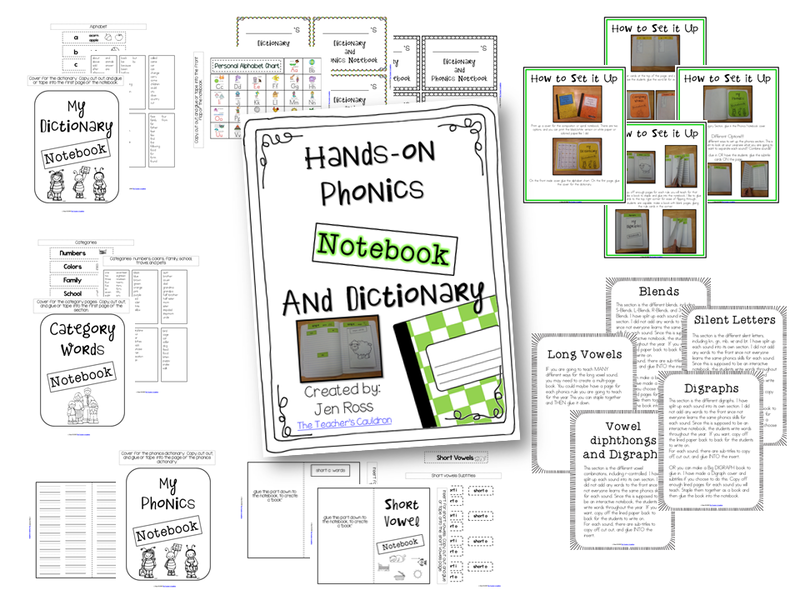 But I used my Phonics Notebook this year and LOVED it...You can check that out HERE. I've also sent my Vocabulary Journals to our print shop (I like send things to the print shop because they copy off a whole class set, with a cover and back cover AND bind them with a spiral thingy.... to me, NOT having to do it is worth me paying for it! lol) Check out my vocabulary Journals HERE. 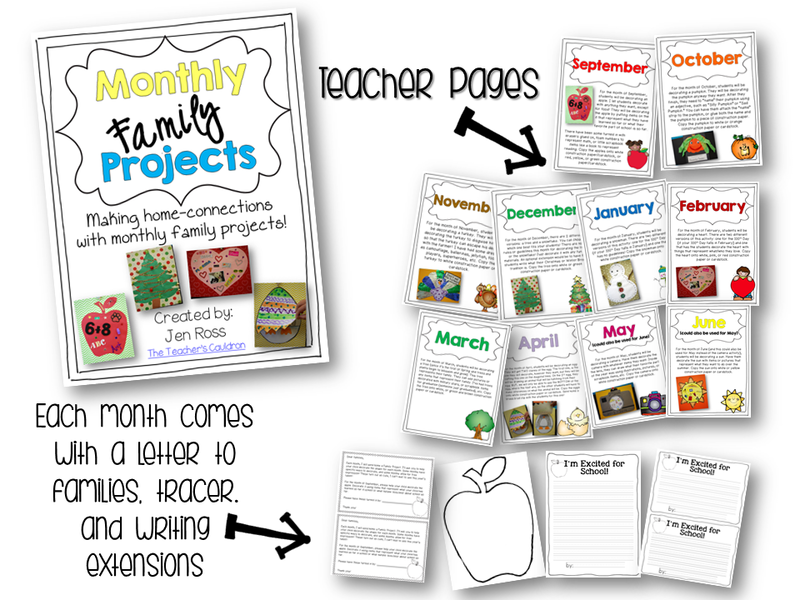 I also have copied off all the writing pages and family notes for our Monthly Family Projects! IF I have enough time, I might even get frisky and run off all the templates for the crafts! I also got ready our Time Capsules for next year. I do these EVERY year... and EVERY year, I LOVE how they come out! You can get the updated version for next year! 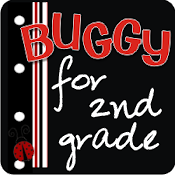 Check out my post on this freebie HERE. I always love how these turn out! Check out how I keep them nice and organized on THIS post. OH! 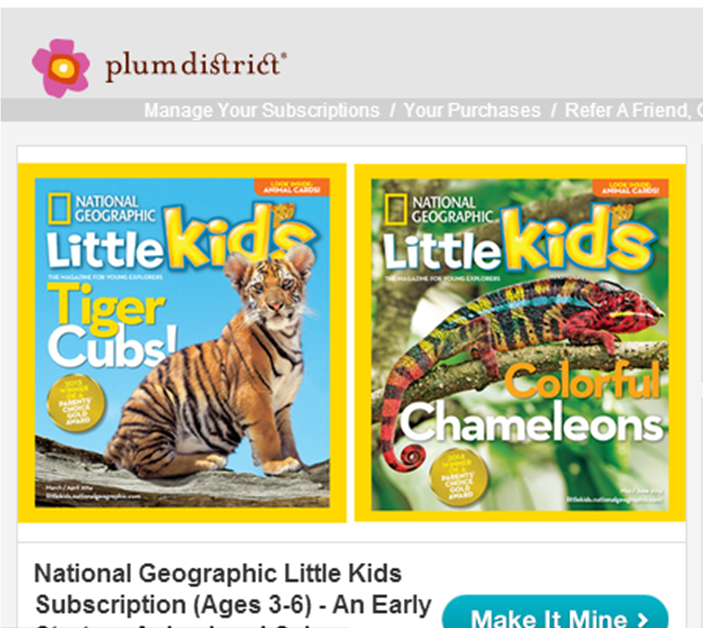 AND I got a subscription to Nat Geo.. LITTLE Kids! I got an email from Plum District, and snagged up the offer! Click the picture to get the deal... and don't forget to use the code natgeo2 when you check out to get an extra $2 off! I've since added more to the lists, but you can get the point, right!? I wish I was one of the people that could take the WHOLE summer off... but nope. I've even signed up for 2 one week classes to take. I think it's funny that before the end has even come, I ALWAYS think about how to begin next year. Do you do that!? Well, just in case you are, I'm going to giveaway a pack from this post! You can choose one pack of your choice. Just enter with the rafflecopter below! If you don't want to wait around to see if you win, I'm throwing a sale! Everything listed in this post is on sale in my store until Monday night! 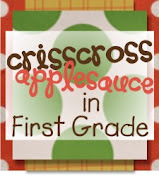 Check out my TpT store! I plan on cleaning my house, resting, cleaning my classroom, resting, and getting better prepared for next year with a little pool time and relaxation in there somewhere! lol Have a great summer! I'm going to Vegas and Disneyland... tutoring... and sleeping in! Also... cleaning out the garage for a sale! I will be sleeping in, as much as my kids let me! And swimming in our new pool!! Figure out some anchor charts for next year, get my spelling units in order and already scheduled some workshops. No rest for the wicked. Have a great summer teachers!!! My plans for this summer include hanging out with my sweet 2 year old son, visiting Florida, and attending a few tech conferences! Yes I'm already thinking about next year. It's crazy, but I can't help it. Thanks for the freebies! We go right to the end of June but as I read blogs I definitely think of next year. I want to clean, organize & relax with my family! My summer will be filled with family mini vacations, summer enrichment, and conferences. Between all that I want to better organize for next year. I am all ready busy working on lists and items for next year and Iam not even done until June 13th. I'll be working ESL summer camp for a couple of weeks and then AMSTI training for 2 weeks. I am going to attempt to relax a bit! Going to try to get my classroom organized early...in June, because my daughter is expecting her first baby in July!!! And guess where I'll be then?? ?In New York loving on baby Charlotte!! I love Donor's Choose. I've gotten both Scholastic News and a rug through them! 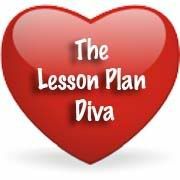 It's an amazing resource! This is the first summer I have not taught summer school so I plan on doing lots of relaxing, reading, and exercising! On top of getting ready for next school year, I am working as the assistant for the summer camp at my school this year. Rewriting curriculum and summer school until end of June...then relaxing in the sunshine! Thanks for the freebies!!! I always love your products! 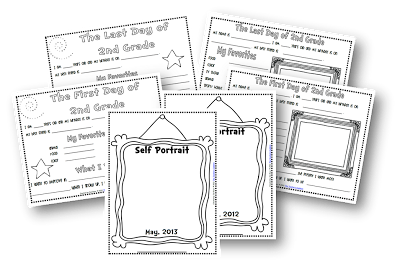 I am super-organizing, purging, and redoing my files and folders to update with the CCSS and all of my new Tpt goodies! I still have 22 days left with students this school year, but I am already getting excited about next year. I am looking forward to spending time playing with my munchkin!! I'm getting married in August and going to Las Vegas for the I teach First conference. Beach trip and cleaning up my house and getting stuff out that we do not need! Those are my plans anyway! I need a nap after reading everything you've already done! You are so organized! Going to the beach and fixing up my new house! Relax and going on a trip to Hawaii!! 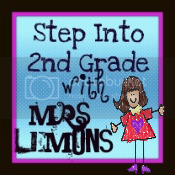 This summer I will be teaching ESY, volunteering with Vacation Bible School, creating a list for my dream craft room and creating for next year and my tpt store. As you can see, I am trying to have a very productive summer!!! I plan to finish my reading endorsement and then enjoy my family and spend time doing summer activities with them. 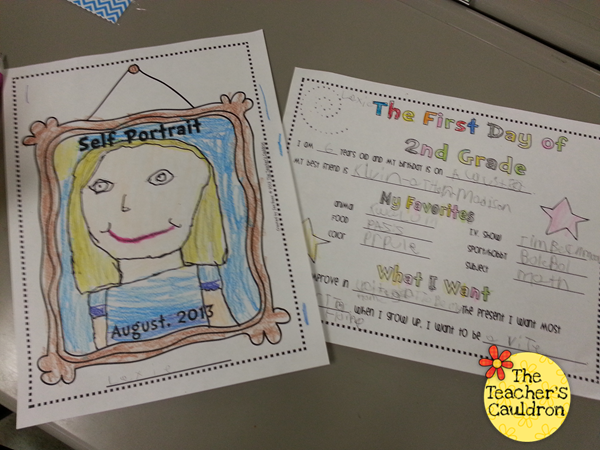 I love getting ready for the new school year!! You have so many great things. Your students are lucky to have you as their teacher. To get organized and relax!! Lots of sleep too!!! I want to relax, clean my house, visit family, and read. I always teach summer program at the adolescent day treatment center (it's a change of pace from my primary kiddos) and then my family is heading west to visit relatives in August. I'm looking forward to some quality time with my 3 kids! I will be organizing my house, will take my girls out, and get ready for next year!!! I love the Math Every day pack! I'll definitely be adding this pack to my wish list for next school year. I will be working my part time job. Due to caring for my parents and finances, no fun stuff:-(. I'll spend my time not working on prepping for next year. I am already working on getting things together for next year! But, I can't wait to vacation this summer! I'm getting so excited for the new year after reading this!! Spending time with family and scrapbooking! No big plans. Gonna do what most other teachers do - get myself together for next year! Love, love, LOVE your stuff! Thank you for inspiring me to get even more ready for next year! I will be headed to Ecuador with a group of North Carolina educators! We are going with the Museum of Natural Sciences. We are working with local educators in Ecuador and with Heifer International. I am beyond excited! I'll also be sure to get some back-packing time in as well! I will be watching my boys play baseball, working with our two new puppies! Playing on the boat at the lake! Of course I will be popping in to the classroom to rearrange, organize, purge, etc.! I plan on getting all of my morning binders, work boxes and classroom rearranged. 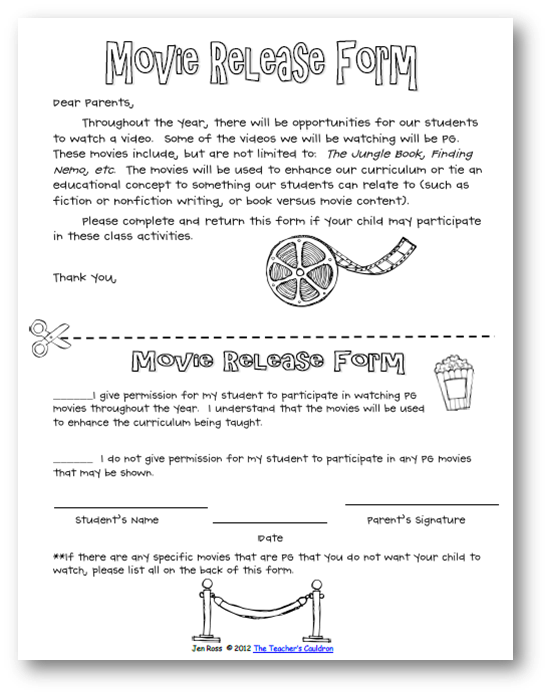 I also plan on going to six flags with my kiddos. I will be taking our daughter to Disney for the first time! I will also be working on curriculum alignment for our district. I'm resting, organizing my school stuff, leveling books, cleaning (meaning getting rid of stuff) my house, attending a conference, and leading/helping other teachers with curriculum writing! I want to read for pleasure and relax a little! I plan to chill out and get organized. My school is year-round, so I'll still be teaching, but we do a lot of it outside and its more laid back. Great stuff, here! I plan to celebrate my 30th anniversary with the most laid back man ever on an Alaskan cruise. And then I will celebrate my mother's 80th birthday with a trip to Sight and Sound Theater in Lancaster PA. 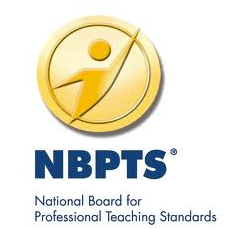 In between, I will plan my last teaching year, as I plan on retiring June 2016 (barring any setbacks). Heading to Asia to visit family and friends this summer break! I'm going to tutor my granddaughter in first-second grade math this summer. Also have a terrific garden planted and plan to do a lot of bird watching! I am going to get ready for the return of my son and his family from Korea. They are moving here and staying with us until they get a place of their own. I am also hoping to take some time for working on some new ideas for next year's class. I'm heading overseas to teach VBS. I can't wait! I teach at a Year Round school so we only have 1 week between the end of the year and the beginning of a new school year! My "summer break" will come at the end of July for almost 3 weeks. I plan to relax and read! I'm going to work on a system for doing guided math with my second graders. I'll also be tutoring for ice cream money!! My plan is to rest and relax with my family. I'm planning to relax, sleep, & read. This summer I will be teaching summer school and starting graduate classes. My summer plans include relaxing, doing some housework (we just bought a house), finding a new job & maybe a little prep work for school (like some tpt products). 9 DAYS! I will be taking a graduate class but I mostly plan to enjoy my family and relax! I work all summer long at the state park (Itasca) that is about 20 miles from my house. It is where the Headwaters of the Mississippi River is. I absolutely love it!! I'll be going to training for our new math and reading programs and trying to get organized. Hopefully I'll be able to enjoy time with family and friends too. 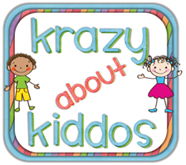 Spend lots of time with the little one and try to get organized during summer! I'll be teaching 3rd grade summer school and trying to spend as much time as possible with my sweet baby boy! I'm glad I'm not the only one who is planning for next year before this year is over! We're switching reading and math programs next year so there's a lot to think about. Happy moving! After a year, I still haven't finished cleaning out my storage unit from moving schools. I had to downsize but didn't want to let things go. I am mostly planning to just enjoy the R & R!!! I have worked two jobs year-round since I was 14 (and I am 39 now), so I can hardly wait for my first summer off <3. I will also go on more long, leisurely walks and curl up with a good book when I get home!! Thank you for your generosity and for considering me, Jen =). leafsgirl@rogers.com. Although this year is close to ending, I am looking forward to next year and taking on a new challenge. I'm hoping to relax, and have fun, and learn new things to feel re-energized for next school year! 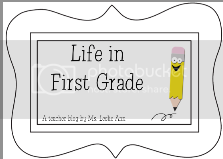 Now that I see how you have everything ready to go for the beginning of the year - I'm going to try and do the same! I also plan on spending quality time with my boys OUTSIDE - since its been such a long, cold, SNOWY winter. Thanks for sharing all of your great ideas!! Already planning my theme for next year. You have some great resources here! Learn how to become a seller on TpT, also spend time with my children! My summer plans are to relax and enjoy ME time at least for 3-4 weeks. Then think about going back to work. Taking my son to NYC to play with his cousin for a few days and then going to Norfolk/Va Beach for a week to see the rest of the family! I plan on tutoring, working, and going to South Africa! My plans for summer are trying get my new planned and organized along with curriculum planning! 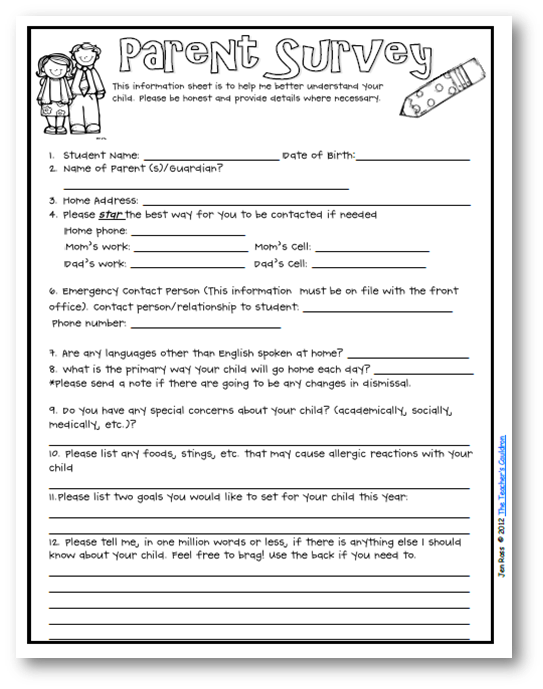 Thanks so much for the release forms. I'm teaching Comic Book Creation, Movie Making, and Digital Art to middle school students this summer! love it! I'm planning on taking a few classes and doing a few PD days but most of my time is going to be spent having fun at the pool with my kids!! Can't wait!!! I have one week between school years. My summer must wait until September :( I guess resting as much as possible in 5 days is the goal! 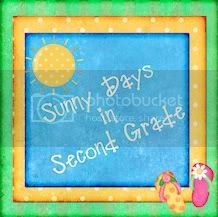 I have several PD days, I want to get organized and prepped for next year and mostly just relax and enjoy the time off! :) great giveaway!! Spend time with the family, exercise, create!